Welcome to my solo challenge which has been inspired by a photograph I took of my Dad playing around with some film props when we visited the Hollywood Studios theme park, Walt Disney World Florida, in 1989! For 10 points I would like you to scrap a photo of a member of your family doing something out of the ordinary/silly/unusual - outside in the fresh air. I often like to add a doodled border around my LO’s so for another10 points please frame your page somehow. It could be stitched, doodled like mine, edged with strips of patterned paper - anything you like. Finally, I’m a big fan of embellishment clusters on a page so for 5 points please include one or more of these and for the remaining 5 points include a tag to either journal the story on or as an embellishment. Mix everything together & serve on a background piece of card or paper. Last edited by scrapdolly; 11-09-2017 at 06:37 PM. I love my sewing machine! My first challenge is for you to use stitching on your page, either machine, hand or faux - for 10 points. For the second element please include a doily or mixed alphas for 10 points. Last edited by scrapdolly; 11-09-2017 at 06:24 PM. 1) Use plain cardstock for your background BUT do something to the edges .. distress, shape, ink, tear, anything you fancy or even a combination of them. 2) Use only 1 photo OR several that are in sequence. 3) Pick just one category of embellishments from the following ..... brads, flourishes, ribbon, ric-rac , flowers/ leaves from patterned paper .... then use them however you like but no others. Here they are again ..
1) change the edge of plain cardstock. 3) just one category of embellishment from the list. Last edited by scrapdolly; 11-09-2017 at 06:25 PM. Create your page using ONLY plain card stock for 10pts (you can use the card stock in a die cutting machine. 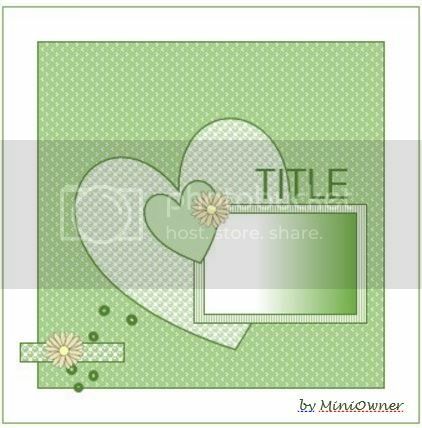 ie to make your title/an embellishment) but any embellishments must be made only of plain card. so all on your page but your photo should be/be made of, plain card stock. Use a maximum of two photos that were taken outside for 10 pts. The next person is challenged to use mixed ALPHAS on their page. For 5points journal in strips. For 5 points use buttons, brads or bling. We were married a few weeks after Charles and Diana. Please use embellishments beginning with the letters C and D, or a title containing those letters. My one little bridesmaid wore white and peach - please make one of those colours the predominant colour on your page. Several members of our team have been doing home improvements of one kind or another so we thought a theme of 'Before and After' would be appropriate. The subject calls for a double page LO, and as a technique we thought distressing would be fun. I'd also like to see the use of stamps & paints (not necessarily together). We'd like you to create a page to include something with words printed on it, this can be book pages, scrapbook paper with words on, whatever you can think of - the more the merrier ! However, If you are still not brave enough for that particular technique, or you do this all the time anyway, try one that is new to YOU or re-visit an old one you haven’t used in a while. I am also guilty of hoarding embellishments for that ‘special’ layout and have recently had a clear out of stash that was so loved once upon a time that it never got onto a page and then somehow fell out of favour  So, look on your craft desk or in your stash and use that special embellishment. Finally, just because I love it so much, use a little bit of bling or enamel dots on your layout please. Last edited by scrapdolly; 24-10-2017 at 11:06 AM.